How would you do this in Dynamik? Replace the URL with that of your desired banner image. Make sure you select the is_home conditional created in the earlier step. I’ve followed your instructions exactly and still can’t get my banner to show up on my posts. Dynamik is my theme and I’m using Beaver Builder, but the posts are just done through the wordpress editor. With Beaver Builder, I am able to put my banner on each page, but not so easy on the posts. So I did what you said and the banner won’t show up on my post. I’d like the word Blog to show up like you have Banner on your example, too. Looks like you have applied a Page Template on the Blog Page. Do not. Instead go to Settings > Reading and set it as Posts page. I found that I had a plugin conflict so I did get it to work. 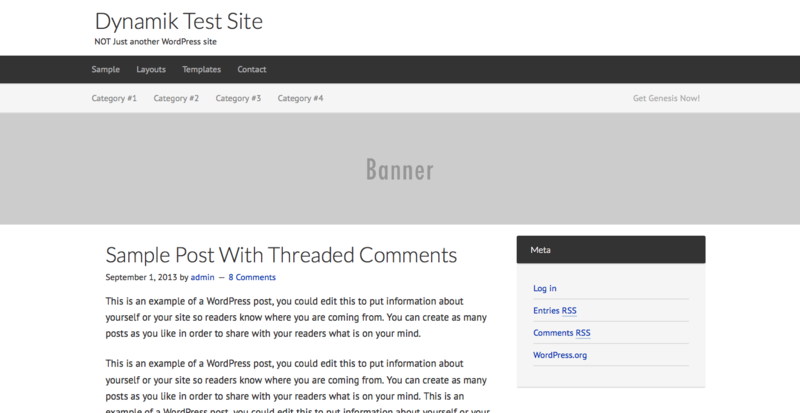 I want my blog posts header to match the blog page header. I didn’t know how to change the font of the word Banner or in my case “blog” to match my blog page header, so I added it to my image. I do want my image to resize the same on mobile as my header does for my blog page. If you look, you can see the difference. I tried to add height=”158px” width=”auto” but that didn’t work. Thanks for your help! I am also one of your paid subscribers. I followed your instructions above and it shows up on my blog post pages. Thank you so much! However, I don’t want it to resize in mobile. I want the height to stay at 158px but I don’t want it to be out of proportion. I don’t mind if the sides are cut off. How can I keep the height at 158px? http://designitdigital.com/what-if-you-lost-your-website/ resizes. I want it to look the same on mobile just like the page http://designitdigital.com/blog/. What do I need to do? very good … how can I set a different for each post? maybe additional with custom field … can u explain it? We can either a custom field or the featured image.